Abdel is a Software Architect at Just.Me, a stealth mode startup in the Mobile and Social space incubated by Google's Startup Labs. He is software developer and technology enthusiast at heart and by profession. Particularly interested in technology evangelism and enterprise software development and architecture. Experienced in Java Enterprise Applications and a wide range of related technologies. President and Founder of a number of organizations namely The NorCal Java User Group, The Silicon Valley Dart Meetup, and The Silicon Valley Spring User Group. 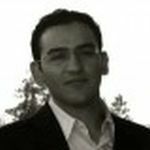 Abdel is a frequent speaker at a number of developer conferences including JavaOne, JAX Conf, OsCon, OREDEV, and many user groups and community events.